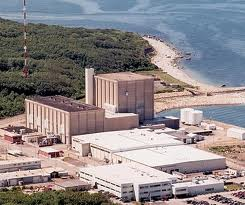 When the Zoning Board of Appeals ruled last year that Entergy – the owners of the Pilgrim Nuclear Power Station – didn’t need a special permit to begin construction of a dry cask storage facility on the plant’s Manomet grounds, 18 residents appealed that decision to the state’s Land Court. More than a year later, after a series of motions, the case is proceeding. Most recently, the court issued an order "allowing in part and denying in part" Entergy’s motion to dismiss the entire case by summary judgment "for lack of standing." The court determined that 11 of the 18 plaintiffs originally named in the case – those residing within two miles of the plant – had standing based on the loss of property value that will result from the construction of the storage facility and the continued operation of the plant. Because of that ruling, the court is now expected to hear arguments on the merits of the case – whether existing regulations require that Entergy should have obtained a special permit in the first place. Meanwhile, Entergy has moved ahead at its own risk. It has spent a considerable sum on construction of the dry cask storage project. In the past few weeks Entergy has even notified the presiding judge – as part of the court’s conditions – that it could begin transferring nuclear waste from the spent fuel pool to dry cask storage units within the next 90 days.